Posted Friday, January 14th, 2011 by Greg Gladman. A printer driver is a piece of software that helps your computer and printer communicate. Since a printer and computer use different programming languages, the printer driver is necessary to provide a translation. When you are installing your new HP LaserJet P1006 printer, you will need to install a printer driver prior to printing with your HP CB435A toner, in order for it to work properly with the computer. It can also be useful to reinstall the driver when troubleshooting communication problems. There are a few different methods for installing the driver, depending on whether you are doing it within Windows, using a software CD, or using a downloaded driver file. Most printers come with a software CD that includes the printer driver as well as additional software that will help you get more from your device. This is the easiest method, but the drivers may be a bit outdated. For more updated drivers, choose the downloaded file method below. For most models you are told to install the software before connecting the device, while others direct you to connect the printer first. Consult the manual, if possible, to find the correct order for your model. Set up the printer, install the inkjet cartridges or toner cartridges, plug it into the wall, and power it on. Leave the USB cable disconnected. Follow the onscreen prompts to install the software. You may be asked to choose which parts of the software you wish to install. Check or uncheck the boxes as you wish. When prompted by the setup wizard, connect the USB cable from your printer to your computer. Downloading the printer driver from the manufacturer’s website is often the best method, as it ensures you are using the most updated version. Visit the support section of your printer manufacturer’s website and enter your model into the search box. Choose the correct file for your operating system and follow the instructions below. 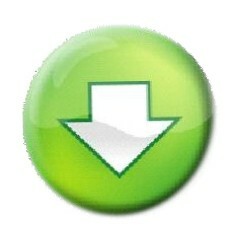 Navigate to the location of the downloaded file. The default location in Windows is the Downloads folder. You can find this by clicking the Start button, choosing Computer, then clicking Downloads in the left pane. Double-click the downloaded file to start the installation wizard. Windows can often locate drivers for you using this method, but this is the least recommended, as it often doesn’t install the extra software that can help you get more functionality from your printer, only providing a basic printer driver. Set up the printer, install the cartridge, plug it into the wall, and power it on, then connect the printer to the computer. Click the Start button and choose Devices and Printers. Click Add Printer. The Add Printer wizard will open. 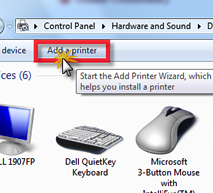 Click Add a Local Printer, then choose ‘Use an existing port’, and click Next. Follow the onscreen prompts to continue the installation, then click Finish. Whichever method you choose, installing a printer driver properly is important to ensure that it works properly with your computer. If you ever have communication problems or issues like printing blank pages, reinstalling the drivers can also be a good step in troubleshooting these issues.